No matter where your business is situated, accidents and disasters can strike. Power can be cut due to utility failure, maintenance works, floods, storms, earthquakes and other natural disasters. Unfortunately, there is nothing you can do to prevent this from happening. However, there are ways you can limit the consequences and lessen the damage to your business by installing an uninterruptible power supply (UPS). What Is A UPS Power Supply? A UPS power supply is a piece of hardware that should be an essential piece of equipment to protect your computers and your data. It works as a short-term power source in the event of a mains power cut. If your mains power suffers from blackouts, brownouts or power spikes, the UPS will kick into action to give you energy, so you have enough time to save your data and work and then safely shut down your devices. 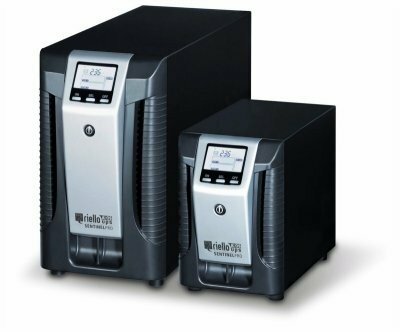 Uninterruptible power supplies come in a range of sizes to suit all users and businesses. You can find small UPS products that are designed to protect just one computer and its data. However, you can also discover more extensive units which provide enough power for multiple computers and may even provide enough power for your whole offices. A sharp change in voltage can cause havoc with your power and power surges can cause problems for your computer. A UPS device can control power surges and make sure that the voltage that enters your computer is stabilised. If blackouts or brownouts occur, then it is likely to create further dips and spikes until full power is restored. Your UPS power supply can help to normalise the power until restored power resumes normally. A UPS provides you with the power you need to save data and work and shut down safely and securely until power is resumed. While a UPS doesn’t mean you can continue to work without interruption for an extended power cut, it can save you time and ensure you do not lose any data or work. The first thing you need to do is determine how many outlets you need. When you know the number, add at least two more when you are searching to provide flexibility for future use. Secondly, you then need to determine how much power you need. This is because the UPS will only have a certain wattage and battery charge. Depending on how much power your devices consume will have an effect on how quickly the battery depletes. If devices have a higher wattage than the UPS will provide, it will mean it will not work. Remember, when working out the power requirements, you need to consider every single device. A watt meter can help you to check the consumption of every device that your UPS power supply needs to power. Finally, you should check out the features of the product and its warranty. This will help you to assess which devices will give you more for your money. If you are not sure which UPS power supply is right for you, get in touch with our team for free, expert advice.